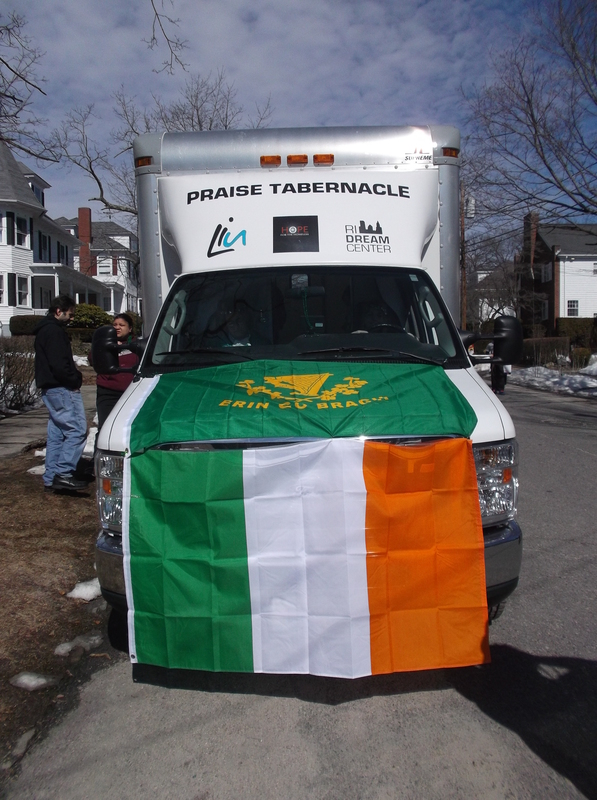 Amazing Day at the St. Patrick’s Day Parade!!! 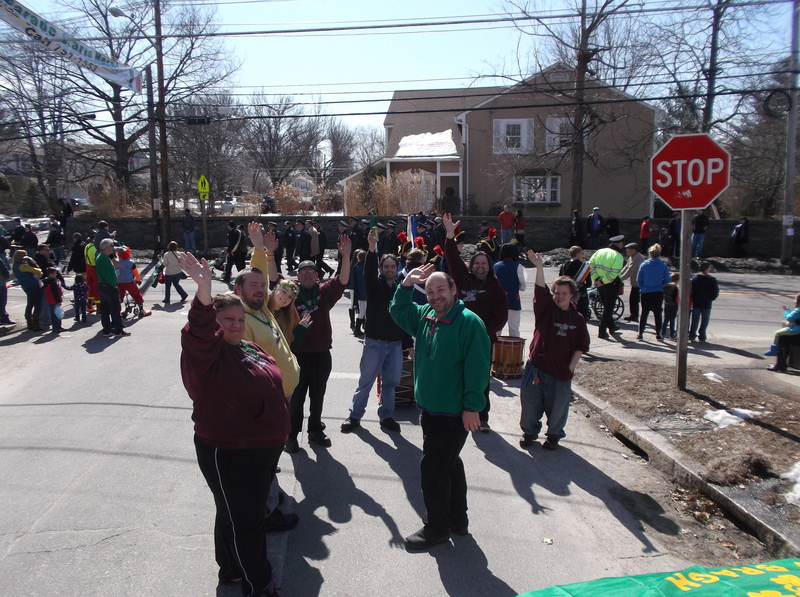 Snow and cold couldn’t stop us today – we still marched in the Providence St. Patrick’s Day Parade and had a blast!!! 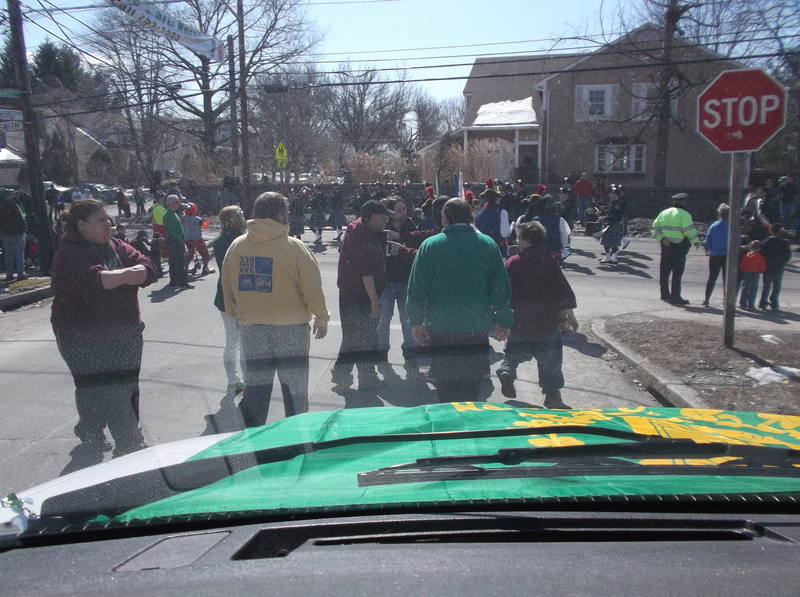 There were about 15 of us marching together today, representing Live it Up and the RI Dream Center. Most of us have been (or still are) homeless at one point in our lives, and I am so proud of how we are taking steps in the right direction to move forward with our lives. It felt great to march down the parade route and have the public acknowledge what we do and cheer for the progress we are making. 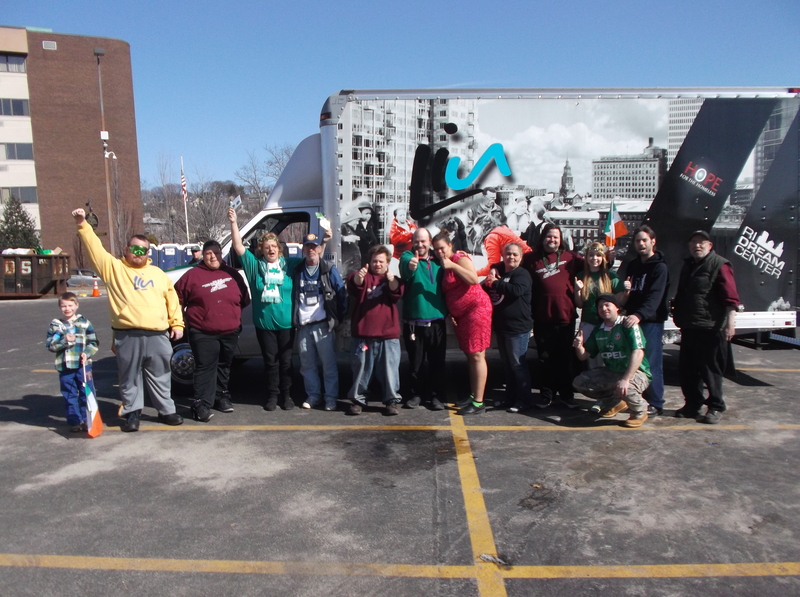 Every year, we give out hoodies to the homeless for Christmas…this past Christmas we made sure to hand out green ones specifically so we could represent in the parade….what do you think for this Christmas, orange??? Who’s with me! Along those lines, one of my friends at work made a huge impact with us during this parade. This friend goes to the parade every year. 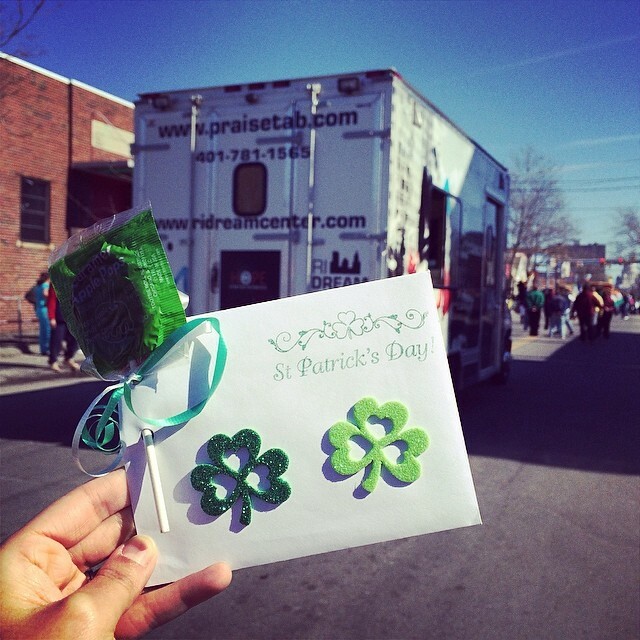 When she heard the Food Truck was going to be in it last year, she and her Dad put together over 50 St. Patrick’s Day cards with a $5 Dunkin Donut gift card in each one for us to hand out from the Food Truck to the street people we see along the route…it was pretty awesome…this year, though, she went all out…she worked with her co-workers to raise over $600 and put together more that 125 gift certificates for us to hand out. Because we had so many, we got to hand them out to more than just street people this year – we got to hand them out to the elderly as well. It was such an amazing time blessing the financially poor and the elderly with a smile, a hug, and a $5 Dunkin Donut giftcard for no other reason than “just because”. I wish the world had more of this kind of love in it…Friend, thanks for all your hard work, you did an amazing job – I know your Dad is proud!!!!! Here is a sample of what one of the cards looked like, but check out the pictures on our Facebook Page to see many more of the smiles this day had to offer. Thanks for checking in! I’m excited for what tomorrow holds!!! !